Aug 09, 2017 – ISO/IEC 17025:2017 is coming soon, as its final draft copy is already released by ISO. It’s substantially different from the current version: new structure and new requirements will be released in FDIS ISO 17025. 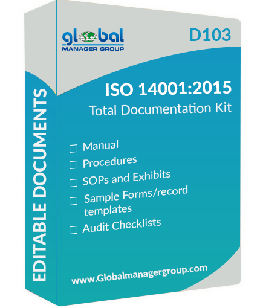 Global Manager Group is proudly announced that they are working on the documentation requirements of ISO/IEC 17025:2017 from last 2 months and as soon as the final standard is released, the updated products D109 and D110 for testing and calibration laboratories accreditation will be available on www.globalmanagergroupo.com for online sell to the global market. ISO/IEC 17025:2017 is Coming, Are you ready? The lead quality consultancy and internal auditors team of Global Manager Group has been worked on this ISO 17025 documentation kits since the first draft released and is now committed to deliver best QMS documentation for ISO/IEC 17025:2017 soon. Also they had commented with suggestions on many points in various ISO forums during first and second drafts preparation of the standard. Mr. Devang Jhaveri and his technical consultancy team of Global Manager Group have said that these ISO 17025 documentation kits for testing and calibration laboratory accreditation shall provide organizations with information regarding detailed requirements of the upcoming changes to ISO/IEC 17025. The company has reviewed the changes in the recently released Final Draft International Standard (FDIS) of ISO/IEC 17025:2017, the reasons for them, and how the changes affect current requirements for documentation process. Accordingly, GMG is working on designing the updated documentation kits which will give users a chance to learn what changes are planned, how to create manual, and what the new structure will require documentation. It will give your organization a jump start on upgrading its quality management system with quick documenting process. Global Manager Group is on final stage of completing ISO/IEC 17025:2017 documentation kit – D109 & D110, for both testing laboratory and calibration laboratory. The FDIS represents the nearest final copy of the standard, subject to minor editorial changes; So GMG is planning to deliver the final document product with the release of updated ISO 17025 standard by ISO for Laboratory accreditation – Quality Management System. Global Manager Group is known among the leading name in the Asia for ISO/IEC 17025 Accreditation Consultancy for testing and calibration laboratories. The GMG Bahrain partner Infovision Consultancy WLL had taken project for ISO/IEC 17025 consultancy for Midal Cable and same is executed by GMG. 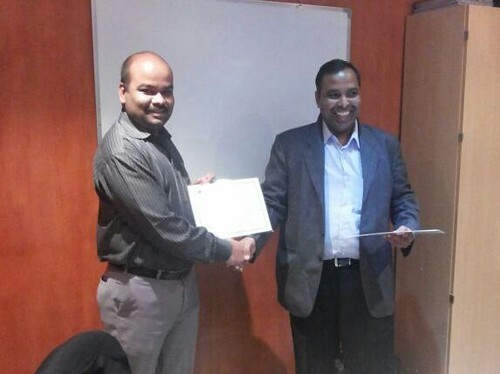 GMG and Infovision jointly had added one more feather with successfully completed ISO/IEC 17025:2005 accreditation audit for QC Laboratory of Midal Cables Limited in Manama, Bahrain. Global Manager Group has implemented ISO/IEC 17025 based quality system in the QC Laboratory of Midal Cables Limited, by training employee of all level, preparation of ISO 17025 documentation for testing laboratory implantation, internal auditing and providing necessary help till accreditation of the system. GMG is associated with the organization since 2013 and helped for identification of gap analysis and suggesting the equipments / critical consumables to fulfill the test standard requirements. Required support in routine maintenance of system and system up-gradation is provided by the experienced team of Global Manager Group. Gap analysis against the requirements of the ISO/IEC 17025, test standards (Such as ASTM/IEC/ EN/ AS/ Internal Validated Methods), equipments requirements. Preparation and updating of documents for ISO/IEC 17025 like Quality Manual, Quality Procedures, Standard Operating Procedures, Work sheet, Test report template, audit checklists etc. Training to all levels of employees with active participation including technical training to the technicians. Conducting internal audit for checking competence of the laboratory after implementation. Midal has fully equipped testing laboratory, where they spectrum analyze the input molten aluminum for its purity, carry out tensile, elongation, wire wrap test and conductivity as required by International standard and specification or Special customer’s demands. With this project of ISO 17025 accreditation, Midal’s Top management aims that all employees and associates becomes happy to contributing their effort to produce quality products and services to the clients. Midal Cables Limited was established in 1977 conceived between Intersteel, Bahrain and Olex Cables, Australia to manufacture Aluminum Rod and Overhead Electrical Transmission Cables, Conductors. Since then, the company has developed into a significant player in the Aluminum and Electrical Transmission Industry in Kingdom of Bahrain. Its growth has contributed to the industrialization of Bahrain and Gulf countries while promoting a national skilled workforce within the company. Midal has certification under Integrated Management System and has been awarded as True Recognition of what has been practiced. With the years of success, Midal Cables Limited is still looking forward for continuous growth and improvement of its business processes with such quality and accreditation system implementation in the organization. Doha, Qatar – Global Manager Group has organized and successfully completed 2 day training program on “Dimensional Calibration and Measurement Uncertainty” at QCal Intertek, Doha, Qatar. The ISO 17025 training program was held on 29th and 30th of August, 2013 at Qcal Intertek Calibration Laboratory in Doha, Qatar. The ISO 17025 training program was conducted by Mr. Nilesh Padhariya and Mr. Devang Jhaveri from Global Manager Group have provided complete training to calibration engineers about various dimensional instruments calibration methods and calculation of measurement uncertainty for various instruments. The aim of QCal with organizing this training program was to gain knowledge and experience of their employees as per international standard guidelines as well as increase quality of their services and minimize level of mistakes in instrument calibration services. Global Manager Group has been provided many ISO 17025 training program in Qatar and Saudi Arabia and helped QCal in ISO/IEC 17025 accreditation in past. Many organizations in Middle East like Qatar University, Prompt Qatar, EDAS, International Testing Laboratory, Al Jabour, Qatar calibration, Al zazira Testing Lab and Doha technical lab have been taken services of Global manager Group to train their employees on ISO/IEC 17025 accreditation and Measurement Uncertainty in past few years. Global Manager Group with Doha Training Center also organized such event in Qatar to provide awareness and knowledge in the area of ISO/IEC 17025 accreditation, Uncertainty measurement and other Quality assurance techniques. Q-Cal (Qatar Calibration Services W.L.L.) was established in Qatar in 1998 to provide process equipment calibration, repair, rental and management services. 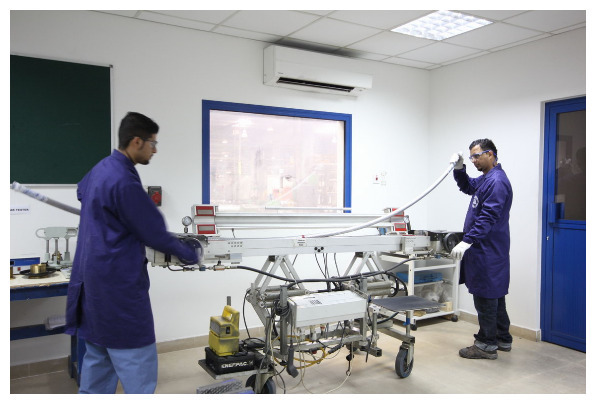 The company is a joint venture between Petrotec (Petroleum Technology Company) and the Intertek Ltd. QCal is accredited to ISO/IEC 17025:2005 by the Emirates National Accreditation Service (ENAS). QCal has accreditation scope, which covers a wide range of parameters in Electrical, pressure, temperature, torque and mass calibration. The Global Manager Group is leading Management and ISO/IEC 17025 consultant of the world. The company has over 22 years of experience, working with industrial, R & D, and Laboratories as well as management systems consultancy. So far Global Manager Group has successfully conducted more than 50 courses on ISO/IEC 17025 and many laboratories have got accreditation for ISO/IEC 17025 under GMG’s project management in GCC including Saudi ARAMCO, Yanbu Refinery, Gulf Laboratory, Buzwair, NAP Laboratory, Riyadh Refinery, Al-Hoti, Ministry of Works (Bahrain), Q Chem., Gulf Lab LLC, International Laboratory, Doha Technical Lab, Qatar Engineering Lab, Qatar Industrial Lab, Doha technical lab, Al Jazeera lab etc. Global Manager is a leading ISO consultancy company having clients for consultancy on ISO 9001, ISo 14001, OHSAS 18001, ISO 22000, ISO 17025, ISO 17020, ISO 17024, ISO 27001, SA 8000, RC 14001, SEI-CMMI, NABH hospital accreditation,ISO 20000, Ce mark, PED and many more certification and having reputation globally for 1800 successful clients in 35 countries.